Bjorn Lomborg is adjunct professor at the Copenhagen Business School. He is the organizer of the Copenhagen Consensus Center, which brings together some of the world’s top economists, including 7 Nobel laureates, to set priorities for the world. Time magazine named Lomborg one of the world’s 100 most influential people in 2004. In 2008 he was named “one of the 50 people who could save the planet” by the UK Guardian; “one of the top 100 public intellectuals” by Foreign Policy and Prospect magazine; and “one of the world’s 75 most influential people of the 21st century” by Esquire. Beside working as the director of Copenhagen Consensus and as adjunct professor at the Copenhagen Business School, Lomborg is the author of the best-selling “The Skeptical Environmentalist” and “Cool it” in which he challenged mainstream concerns about the environment and pointed out that we need to focus attention on the most important problems first. “The Skeptical Environmentalist” had its genesis in 1998, when Lomborg worked as an associate professor of statistics at the Department of Political Science at the University of Aarhus in Denmark. He published four lengthy articles about the state of the environment in a leading Danish newspaper, which resulted in a firestorm debate spanning over 400 articles in major metropolitan newspapers. The articles led to the publication of “The Skeptical Environmentalist” in 2001, which has now been published in every major language in the world. Since the publication of “The Skeptical Environmentalist”, Lomborg has been a frequent participant in public debate. His commentaries have appeared regularly in such prestigious publications as the New York Times, Wall St. Journal, Globe & Mail, The Guardian, The Daily and Sunday Telegraph, The Times, The Australian, the Economist. He has appeared on TV shows such as Politically Incorrect and ABC 60 minutes, Larry King, 20/20, 60 minutes and BBC Newsnight along with shows on CNN, BBC, CNBC, and PBS. 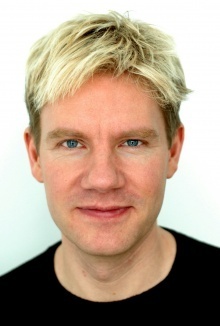 In November 2001, Lomborg was selected Global Leader for Tomorrow by the World Economic Forum. From February 2002 to July 2004 Lomborg was director of Denmark’s national Environmental Assessment Institute. During this period he was named one of the “50 stars of Europe” (as one of the 9 “agenda setters” in Europe) in Business Week. In April 2004, Lomborg was named one of the world’s 100 most influential people by Time Magazine. Lomborg organised “Copenhagen Consensus” in 2004, a project which brought together some of the world’s top economists to prioritize the best solutions to the world’s biggest challenges. Essentially, he asked these experts to tackle the question: With limited resources, how can we do the most good possible? In 2005 Lomborg was named Young Global Leader by the World Economic Forum and listed as the world’s 14th most influential intellectual by Foreign Policy and Prospect Magazine. In June 2006 Lomborg repeated the “Copenhagen Consensus” project with top United Nations ambassadors instead of economists. He managed to bring together representatives from China, India and the USA, representing about half the world’s population. Their ranking of solutions to the world’s challenges was the first of its kind for the United Nations. These two conferences and their results have resulted in two books: “Global Crises, Global Solutions” and “How to Spend $50 Billion to Make the World a Better Place”. The last global “Copenhagen Consensus” project was held in May 2008. In September 2007, Lomborg published “Cool It: The Skeptical Environmentalist’s Guide to Climate Change”, a groundbreaking book that is transforming the debate about global warming by offering a fresh perspective based on human needs as well as environmental concerns. It has already been translated into 17 languages. Appointed Project Syndicate “Thought Leader” from 2007 with Joschka Fischer, Jeff Sachs and Joe Stiglitz. In 2008 he was named “one of the 50 people who could save the planet” by the UK Guardian; “one of the top 100 public intellectuals” by Foreign Policy and Prospect magazine; and “one of the world’s 75 most influential people of the 21st century” by Esquire. In 2011 and 2012, Lomborg was named Top 100 Global Thinker by Foreign Policy „for looking more right than ever on the politics of climate change”.